Floors are the foundation of our homes, our businesses, and our lives. 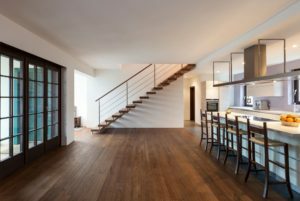 Whether you're looking for brand new flooring or you want to revive your current floors, you're in safe hands with our interior design specialists and installation professionals. Call or email us today! Porter & Porter Floor Coverings is Southern Maryland’s leading source for excellent, affordable floors! We’ve served the Maryland, Virginia, and DC area for 20 years, offering the brands that consumers know and trust. To bring you the best flooring at accessible prices, we hand pick our floor products, installing only premier brands renowned for their superior function and timeless beauty. Our suppliers guarantee uncompromised quality, and we’ll get you the prices that fit into your life. Financing is available, ask about it during your free estimate! We can’t wait to help you find the right blend of style, durability, and value. You know you need new floors…but there’s so much information out there! Give us a call (or send an email!) about the space you’re looking to change, and we’ll set you up with the floor that suits you. Are you dealing with a room that’s always cold? Has a bit of a moisture problem? A room that sees lots of foot traffic, children playing, or pets? Tell us about it and we’ll show you where to begin!